Goodyear Assurance Duraplus is developed keeping in mind small to medium size passenger cars. The tyre is highly adaptive to the Indian road conditions and at the same time offers high durability and better fuel efficiency. The Assurance Duraplus responds wet weather conditions well with excellent wet performance in terms of shorter braking distance and improved water dispersal. Claimed to go 100,000 km, the Assurance Duraplus tyre offers a stable ride on harsh surfaces and long routes. The tyre uses DuPont Kevlar technology for better tread life and silica-reinforced compound on sidewalls to provide increased resistance to abrasions and cuts. The durable and high on life tyre gets 5-star rating by Goodyear for its long lasting nature and is made available in multiple rim sizes. The asymmetric tyre comes with large tread width pattern for better road contact and superior road stick thereby enabling unwavering control of the vehicle at high speeds. Goodyear has incorporated DuPont Kevlar in their Assurance Duraplus tyres, which makes them more adaptable to the Indian road conditions. The tyres come with an additional layer of lightweight reinforced material that helps in strengthening the tyre thereby increasing both durability and protection. The use of silica-reinforced Durawall compound in the sidewalls increases resistance cuts, tears and roadside injuries. Low rolling resistance of the Goodyear Assurance Duraplus tyre results in increased fuel savings. 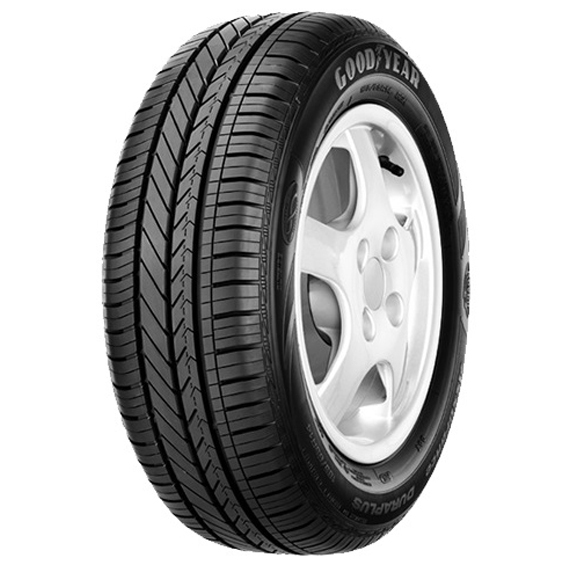 Goodyear’s TredLife Technology and use of the carbon-heavy compound in its construction backs improved tyre life. The “wide face cavity” as Goodyear calls it, permits better stick to the surface, while DuPont Kevlar in its construction and infusion of lightweight, “military-grade” equipment preserves tyre’s rigidity under severe hot weather conditions.